Spark-proof technology what means that even if you accidently touch clamps together nothing will happen. You want get hurt or burn the device. Reverse polarity prevents accident from happening if the clamps are connected wrong way to the battery. The jump starter basically awaits everything to be done in a right way before relishing the power. Jump starters are very easy to use. Every one of them comes with detailed users guide. By following these steps you want have any kind of problem even if you are not familiar with this kind of devices. Do you want to use it just as jump starter or you want additional service? Is your car powered by Diesel or gasoline engine? Main characteristic of jump starters are cranking amps and peak amps. Pay attention to cranking amps as they are far more important. They are related to actual power that will be provided to start a vehicle. Besides this characteristic pay attention to CCA (Cold Cranking Amps). It is measurement of number of amps that jump starter can deliver at 0° F for 30 seconds. When choosing try to pick the one with more cranking amps. This particularly important if you have a car running on diesel engine. 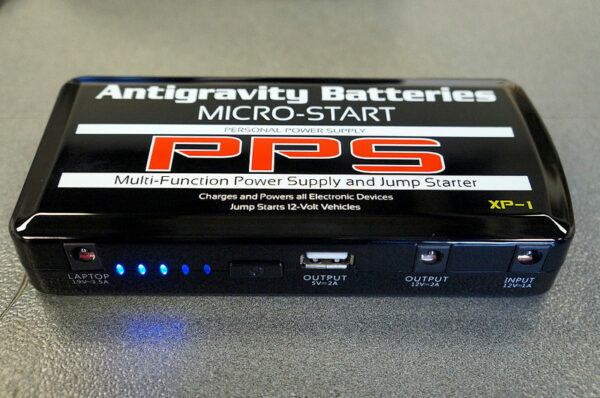 If you of own motorcycle and you want a multifunction jump starter the best pick for you are mini jump starters. These kinds of jump starters are special category of jump starters. Compared to classic jump starters almost every characteristic is the same if we talk about jump starting abilities. However, main advantage of mini jump starters is their size and multi functionality. 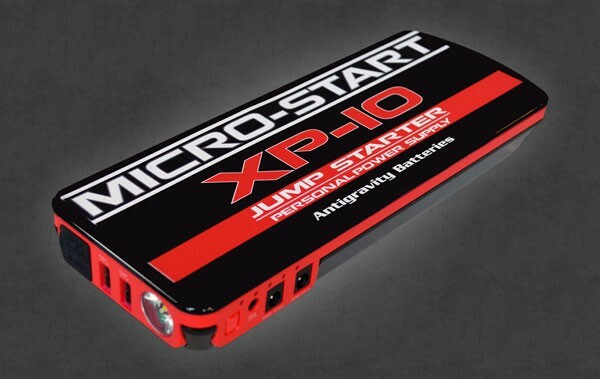 Weighting just a couple of pounds and a size of a Smartphone these jump starters are ideal for motorcycle owners as they easily fit under seat. Other great thing is their multi functionality. The best jump starters on market have various options to offer besides their main ability to jump start a car. They can be used as power bank. 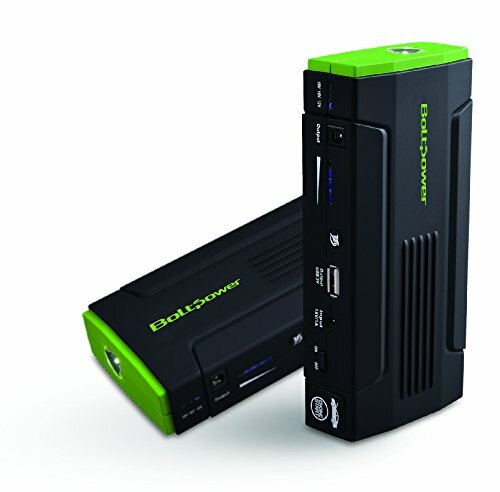 This means mini jump starters are able to recharge different types of devices including Smart phones, Laptops, GoPro cameras and many other devices who use USB outputs. When choosing this kind of devices pay attention to details and most of all be sure what is that you want from the device. 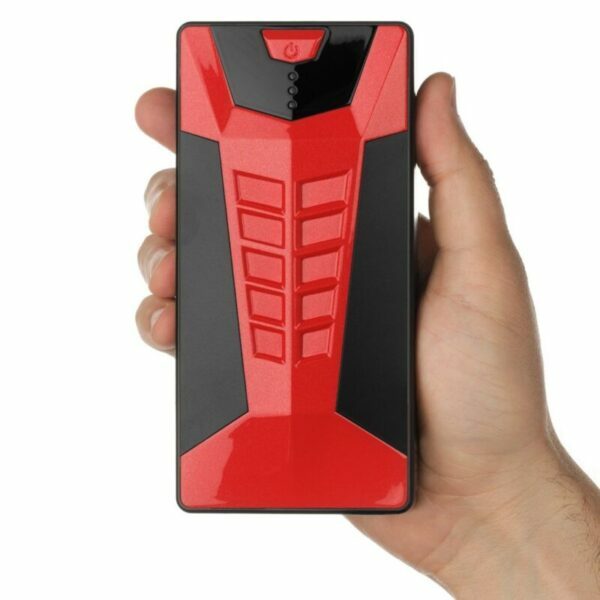 Some of them have good capacity of battery what is great characteristic if you are looking for power bank. 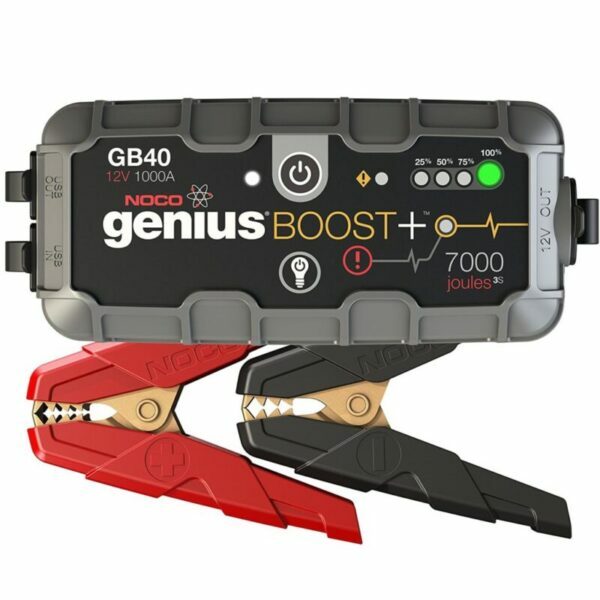 On the other hand if you will be using it mostly as a jump starter then you should be looking for these who have higher peak amps and cranking amps. The unit comes among many detachable tips including mobile charger who can be plugged inside your car as It uses cigarette lighter as source of power. 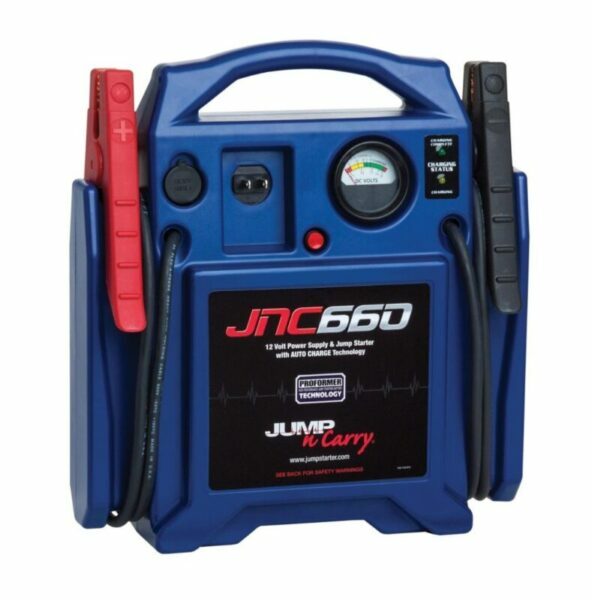 Defiantly the greatest thing about these jump starters is their compactness and impressive power. They are small enough to fit under motorcycle seat and powerful enough to start even V6 engine. 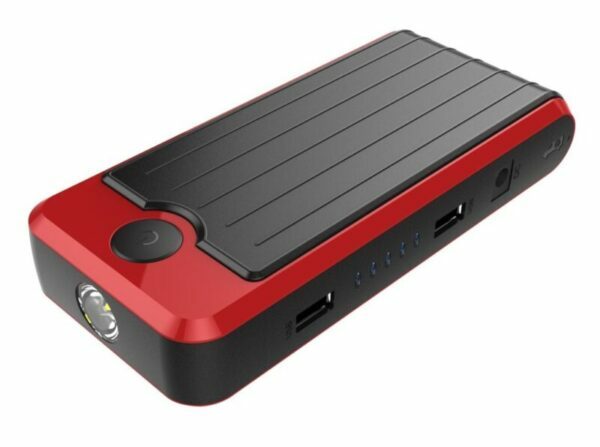 Great choice for those who like to travel and have need of external battery for their gadgets when camping or hiking somewhere in wilds.